North End Baptist Church--Celebrating more than 60 Years of Ministry and Service. North End Baptist Church was started by Reverend Melvin L. Eidson and his wife, Arzola. They came from Cullman, Alabama to Michigan, where he worked in a factory. He had a burden to start a church in the North end of Flint. The mission was sponsored by Central Baptist Church of Flint. The mission began in a little brick building on the corner of Verdun and York Avenue on July 31, 1955. North End Baptist Church was constituted as a church on February 5, 1956, with 30 charter members. The church called Rev. Melvin Eidson as its first pastor. In October 1964, the church bought property and built its new building in the Beecher District, on the corner of Fairhaven and Princeton Streets. The church grew over the years, and is now located at G-7360 N. Clio Road, in Mount Morris. We, the members of North End Baptist Church are Christians. This is not a political statement, it means we are followers of Jesus Christ. Our purpose is to magnify Jesus. 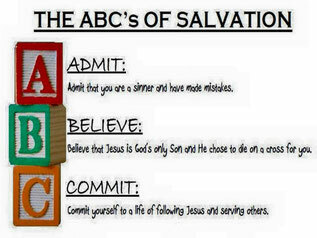 We believe Jesus is the only way to salvation. We believe in Christmas - the birth of Jesus, when God became man and lived the perfect life. We believe in Easter - the resurrection of Jesus, when he proved who he was and became LORD! We long for his return and the blessings of eternal life in Heaven. We believe that the complete written Word of God, is the Bible. It is our authority for faith and life. We believe that fellowship with other believers in the church is essential to living the abundant life during our days on earth. We believe our mission is to make disciples of Jesus throughout the world, beginning in our community of Mount Morris. This mission includes the message of hope in Jesus and ministry to the needs of people. We invite you to join us in our walk with Jesus.